Thrilled to be working with SOGO as their illustration partner for 2017! Using the Pantone colours for 2017, we are producing a series of campaigns for use in-store and online. Here are the two summer campaigns. 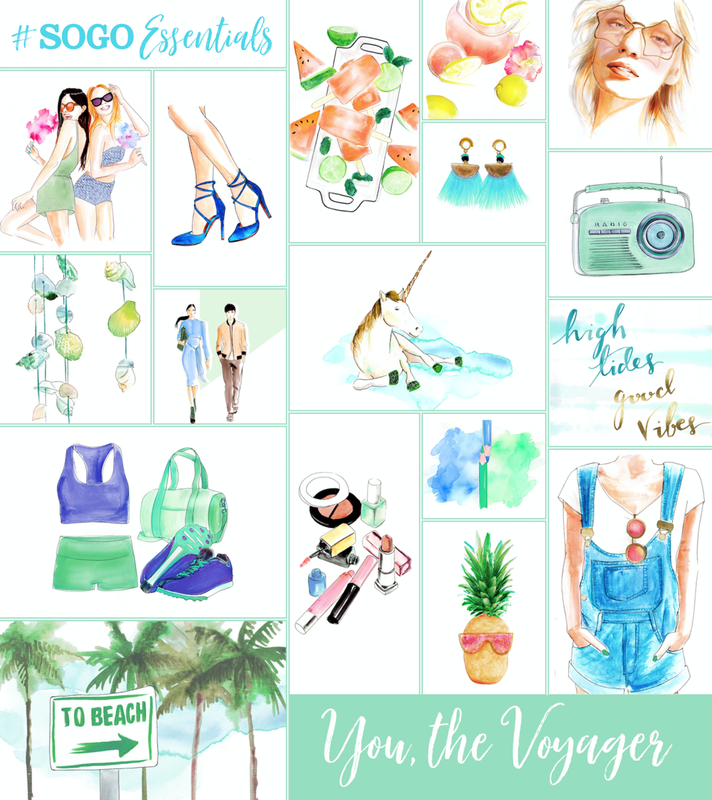 Here is the summer campaign, You, the Voyager.